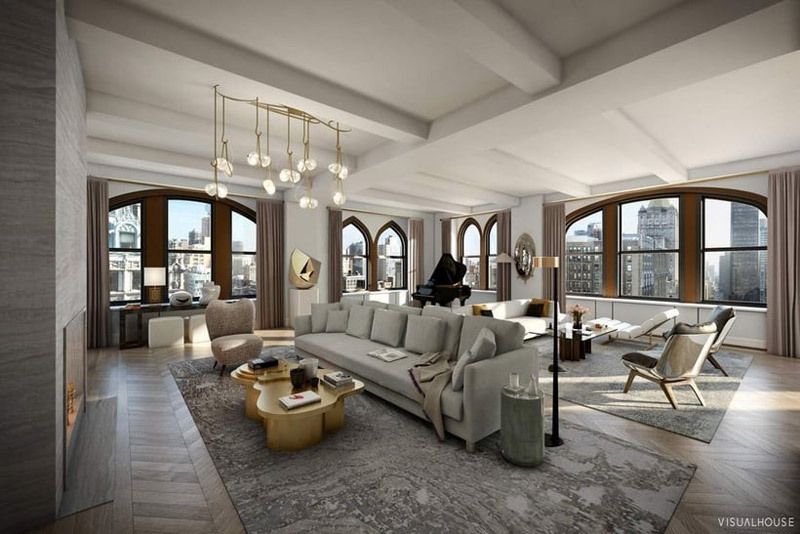 The pinnacle of luxury condo conversion 212 Fifth Avenue is back on the market, now at a more whopping price of $73,8 million. The 10,000-square-foot penthouse first listed just about a year ago for an only slightly-less-ridiculous $68.5 million, though it was eventually taken off the market. However, luxury triplex penthouse has five bedrooms, five bathrooms, and additional 5,000 square feet of outdoor space with incredible views of Manhattan. The building it sits atop is also located right across from Madison Square Park. “The penthouse at 212 Fifth Avenue is distinguished by an unparalleled style, sophistication, and array of exceptional luxury finishes, from the materials on the door handles, to the marble countertops, to the wood selected for the flooring,” said Nikki Field of Sotheby’s International Realty, which is leading the sales of residences in the building. Some features of the triplex penthouse include an elevator, several bars and kitchens, three fireplaces and a walkable skylight. 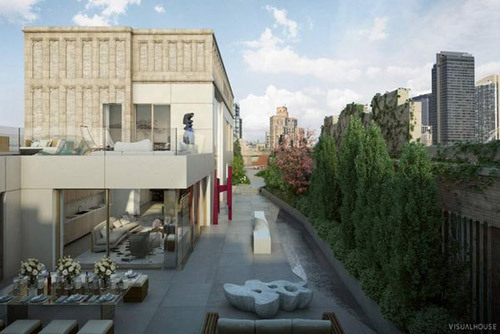 Other luxury amenities include: “a sumptuous 7-room master suite,” gallery walls that “make this penthouse an art collector’s paradise,” an observatory on the top floor, a huge skylight, a marble-and-glass fireplace in the library, and enough space for two pools.